Customer service is at the heart of what we do, so we want your feedback. To improve our services, let us know about your experiences at John Clark so that we can find out what we're doing well and where we can make improvements. Simply click one of the actions above to get in touch. If you have an idea of how we can expand on our services or how we can improve them, we want to hear from you. 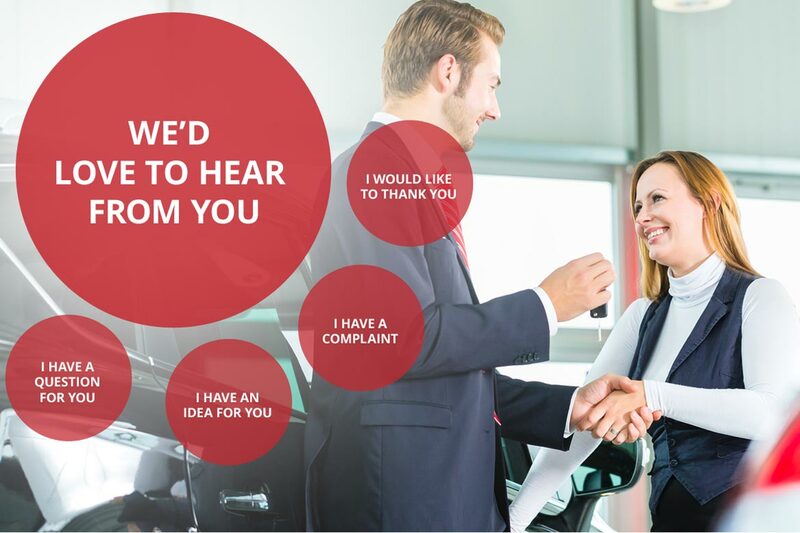 Likewise, if our services have not been at the level you were expecting, we want to know more about it so that we can strive to improve our services to ensure your car buying journey is excellent. Simply click one of the actions below to send us an email with your thoughts.